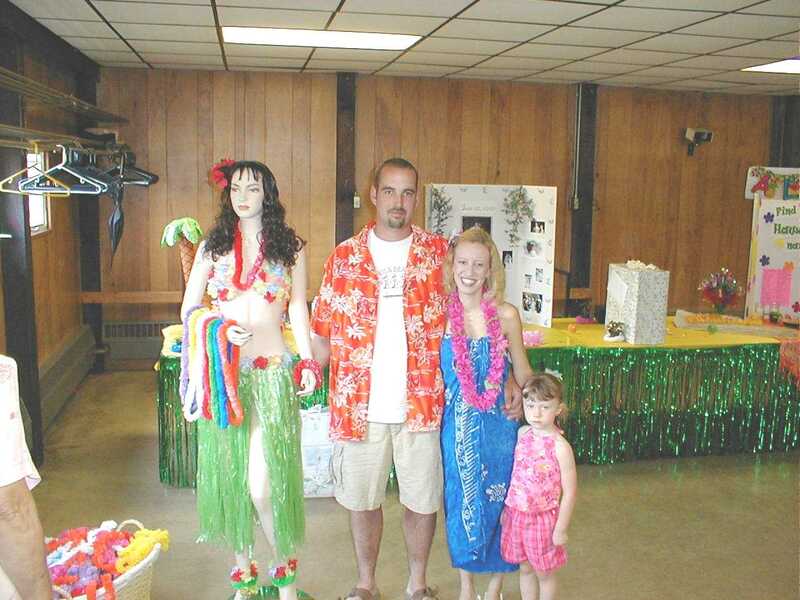 HULA GIRL, JASON, MELISSA, SHELBY AT THEIR HAWIIAN THEME RECEPTION! 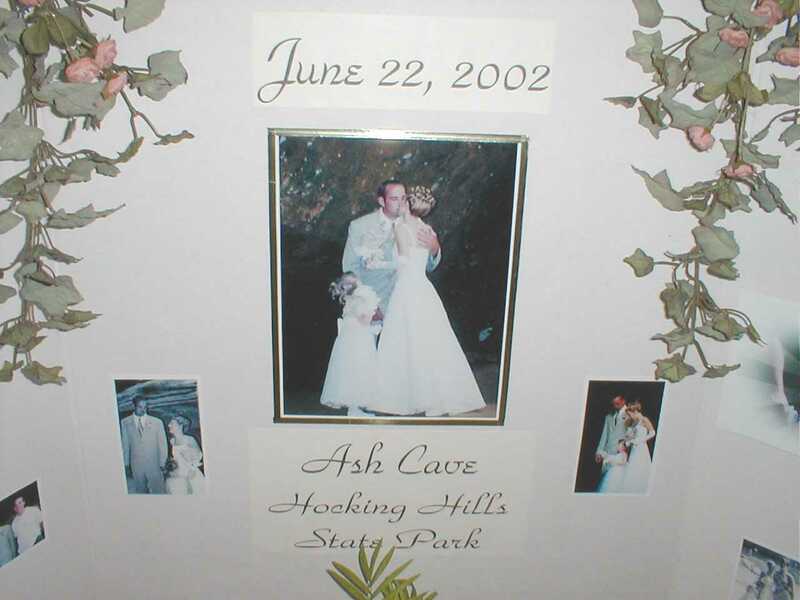 A NICE WEDDING PIC DISPLAY! 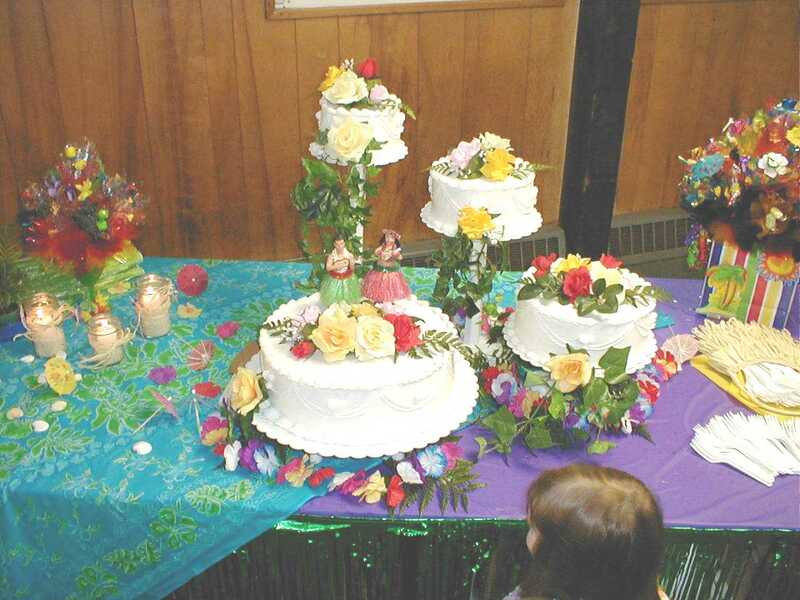 HUMMM, WITH THE HAWIIAN THEME, I WAS EXPECTING PINEAPPLE UPSIDE DOWN CAKE!